Earlier this week I had a nice surprise sitting in my email box from a lady called Teri. She had emailed me to say that a ring of mine had been featured on her blog! 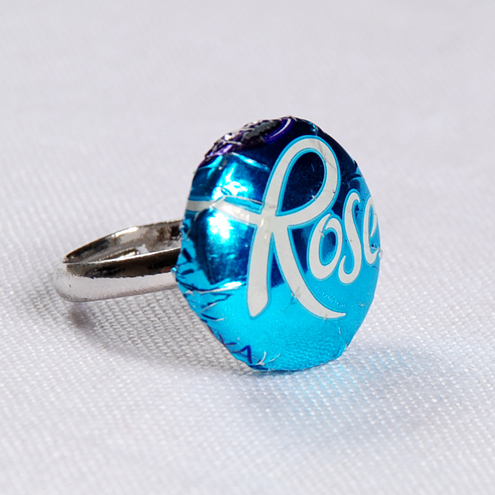 My blue roses ring which you can find on my folksy shop http://www.folksy.com/items/978753-Cadbury-Blue-Roses-Ring, was picked by Teri from Rainbow Cottage blog to be featured as part of her "Treat Yourself Tuesday". For a look at her blog (and my ring on it!) click on the following link! One of the purposes was to share with you the projects that i will be working on to make my new house a home. Well I haven't got any projects completed yet...............but I may have a home soon! Talking of projects I have been working on quilting again! Still with the original project in mind, i have decided to extend my quilting technique repertoire and have a go at traditional English paper piecing. So for now its goodbye sewing machine and hello needle and thread. Here are the hexagon paper pieces which you use as your templates. Its a simple concept really, just lay your shape on the fabric and sew around it. 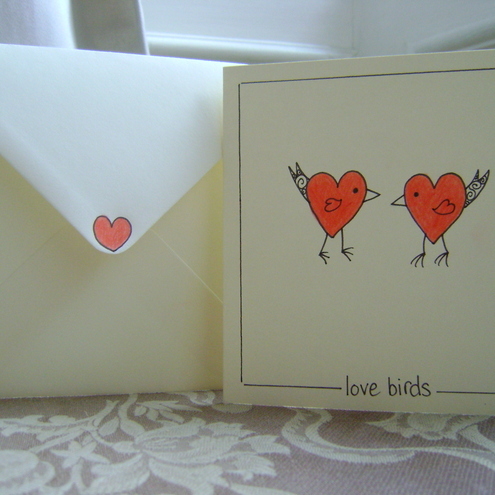 The idea of sewing into paper sounded odd but once I began it all started to make sense! These are some of the reproduction 1930s fabrics I have just waiting to be sewn into cute little hexagons and pieced together lovingly by hand! First of all you need to get a piece of fabric and lay your hexagon on the wrong side of the fabric, secure it by pinning it in place. Cut about a 1/4 of an inch around the hexagon, you don't want to cut right upto the edge as you need fabric to fold over and baste into place. This will help keep the shape of the hexagon until you are ready to sew them all together . Make sure you use a long stitch to baste as later on you will be removing the paper shape. Once you have some basted hexagons you can start joining them together. To do this place two hexagons right sides together and sew with small whip stitches. You want to sew the very edge of the hexagons without sewing through the paper. See you all soon for more news and crafting!!! I will pop along to Kirstie's shop for a peek in a mo. Thanks for your comments! I can just imagine you tearing up menus etc to make more shapes, thats creative in itself! I don't think I quite have the patient to do a full size quilt but we shall see it may just keep on growing!